DriverNet, a technology start-up business based in St Helens, has launched a new smartphone app which could help improve the lives of some of the borough’s most vulnerable people. Based in the Beecham building in St Helens town centre, DriverNet – founded by Eccleston resident Ant Chisnall and Emma McNally from Sutton – has created an Uber-style mobile app which can be used by buses, coaches, lorries and even bin wagons, to make deliveries and collections smarter and safer. 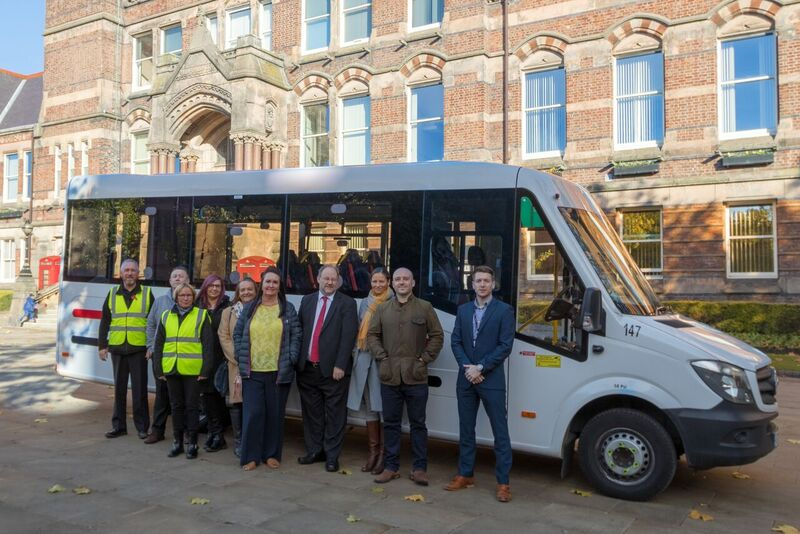 Having worked with St Helens Council, which has supported and monitored the company’s growth for a number of years, DriverNet will trial their app with the council’s adult social care transport team’s fleet of mini buses that transport elderly and disabled residents and college pupils with additional needs – providing alerts, tracking and drop calls to speed up collections and drop offs, improving safety, service and convenience levels for passengers, families and guardians. The app contains a number of features which improve communications, vehicle safety and standards and driver regulations and management. Not only does DriverNet help safeguard the wellbeing of passengers, it is also having a positive impact on the environment too, with savings on fuel costs and reduced CO2 emissions being achieved. This led to the company scooping an international Sat Nav innovation award in 2017.